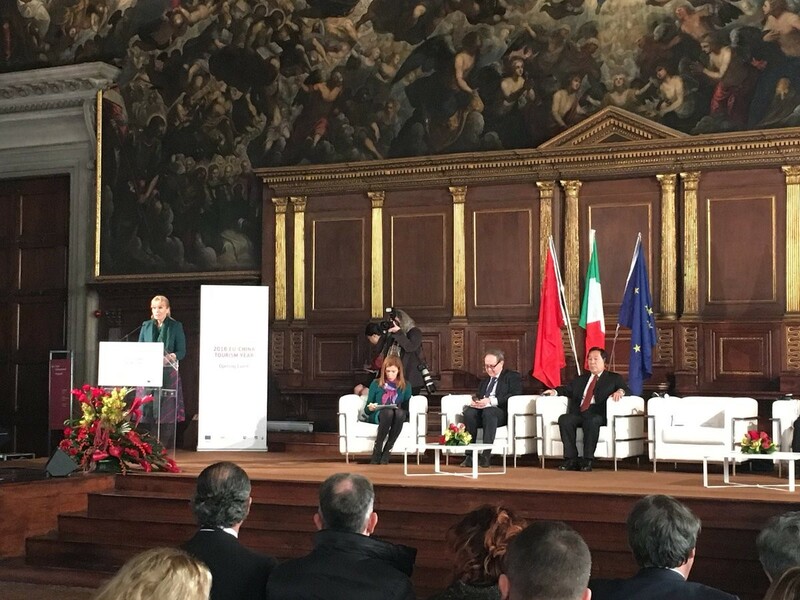 The choice of Venice by the Commission to kick-off the 2018 EU-China Tourism Year (ECTY) was certainly not fortuitous. Venice was at European end of the 2000-year-old Silk Road, where merchants used to travel between China and Europe trading silk, porcelain and spices. It was also from Venice that Marco Polo initiated his travels to Asia 700 years ago. 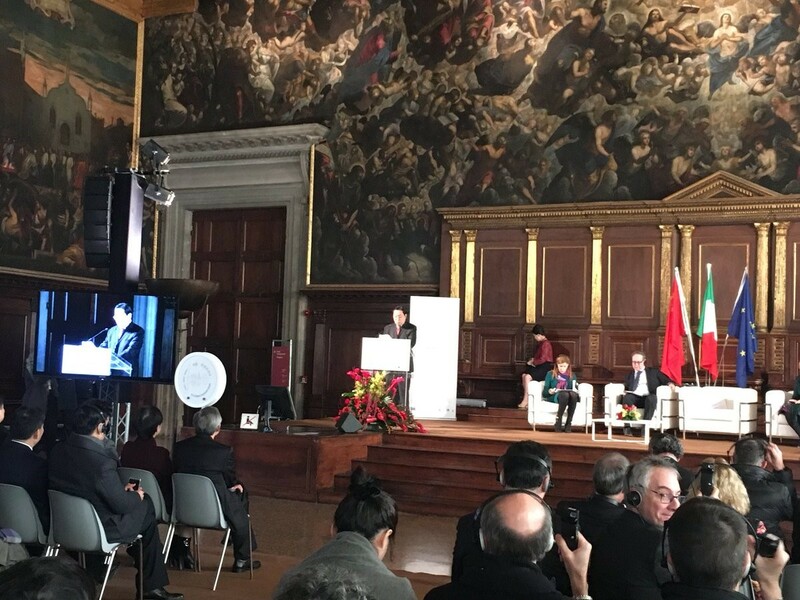 Numerous Chinese and European officials gathered for the occasion together with a solid representation of business leaders and relevant organizations in the Doge’s Palace and the Venice Casino to exchange ideas on how to improve the experience of travelers from China to Europe and vice-versa. Next to being a source of personal culture enrichment, tourism is indeed a major economic driver. The European Parliament Research Service estimates that the tourism industry can generate more than 10% of EU GDP and approximately 12% of all jobs. Moreover, Chinese travelers have recently surpassed US tourists positioning themselves as the biggest spenders among extra-European tourists. Ms. Nikolina Angelkova, Minister of Tourism of Bulgaria, who spoke on behalf of the Presidency of the Council of the EU, announced in a fluent Italian the upcoming “High-level Ministerial Conference on Tourism and Economic Growth”, which will discuss among other the digitization of the tourist industry. 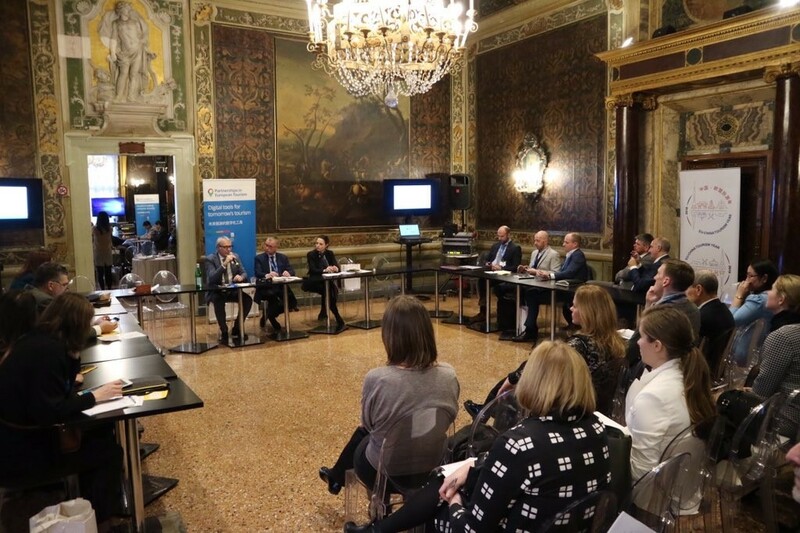 “Digital tools for tomorrow’s tourism” were extensively discussed in a special breakaway session which took place in the Venice Casino in the afternoon in the framework of the Business Summit. Four ways through which digital solutions can be leveraged to boost the number of Chinese visitors to Europe were highlighted by Ms. Claudia Vernotti, Director of ChinaEU. First, to overcome the language gap, there are new applications such as Go With Tommy that allow Chinese visitors to find out, in real time and in Chinese language, location of/and information on tourism attractions, accommodation etc. without requiring interactions with locals. Second, as relying on browsers or online booking agencies is becoming insufficient to effectively promote destinations, there is a new generation of digital marketing solutions leveraging social media, big data and artificial intelligence, such as the Wechat mini-programs. She also mentioned innovative platforms proposing customized offers in line with the tourists’ browsing history, such as Dublin-based startup B-Smark’s Combi-action technology. Third, there is new software integrating visual recognition, virtual and enhanced reality to dramatically increase the tourism experience. An example of this, is the Venice Time Machine project allowing to re-visit the Venice of the past, through a complex process of collection and analysis of big data of the past. Fourth, there are innovative ways to make it easier for tourists to set off on an overseas trip in the first place, such as online visa application services offered by Ctrip and Alitrip. To fully realize the potential offered by digital transformation, substantial changes in business models will be needed. There needs to be an increase in digitally skilled workers in hotels, tourism boards, and all tourism-related sites. Retailers, but also museums, and transport providers should accelerate the integration of e-payment solutions like WeChat Pay, Alipay and Unionpay, accepting money online through QR codes. And last but not least, there needs to be a way to secure an “always connected” environment, without which all the digital solutions described above cannot work. A bright idea in this respect came from Dutch telecom operator KPN, which few months ago launched the WeChat Go Simcard, enabling Chinese visitors to navigate on 4G all over Europe without concerns over roaming charges. According to an old Chinese saying, “traveling a thousand miles beats reading ten thousand books”. Tomorrow, digital innovations and connected devices will enable this saying to be translated into concrete experience.